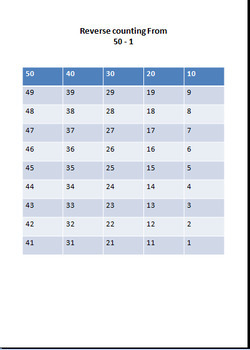 I love this worksheet as it helps kids to visualise the scenario which comes into picture when we count backwards.As this may be tricky for many kids and they really struggle to tell what comes before 30,21 etc. 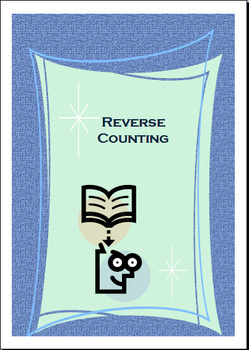 If you want your students to count,learn ,practice backwards this is a wonderful resource.As it helps them to visualise numbers arranged in groups of TEN and what happens when you take out one BLOCK out of that GROUP. They can proceed by Taking away(putting cross on block) ONE block everytime and counting rest (Tens,Ones). Its always a good practice to try this activity with UNIFIX cubes as well. This activity helps them with gaining confidence with counting backwards,place value system and also helps them in understanding that numbers are just repeating patterns the difference lies in Number of Tens added as a LEFT digit.